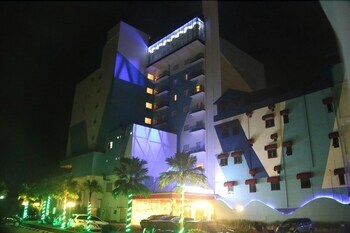 Located in Banjarmasin, G Sign Hotel is a 4-minute drive from Duta Mall and 9 minutes from Masjid Raya Sabilal Muhtadin. Featured amenities include a business center, dry cleaning/laundry services, and a 24-hour front desk. A roundtrip airport shuttle is provided for a surcharge (available on request), and free self parking is available onsite. Located in Yogyakarta, Airy JEC Raya Janti 22 Yogyakarta is within a 15-minute walk of Jogja Expo Center and Gembira Loka Zoo. With a stay at Airy Lowokwaru Candi Trowulan 12 Malang in Malang, you'll be within a 15-minute drive of Brawijaya University and Malang Town Square.